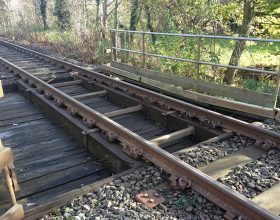 As part of the Wales Package 7 contract, a number of structures along the Welshpool to Aberystwyth line did not have the Rail Availability (RA) rating for the line. 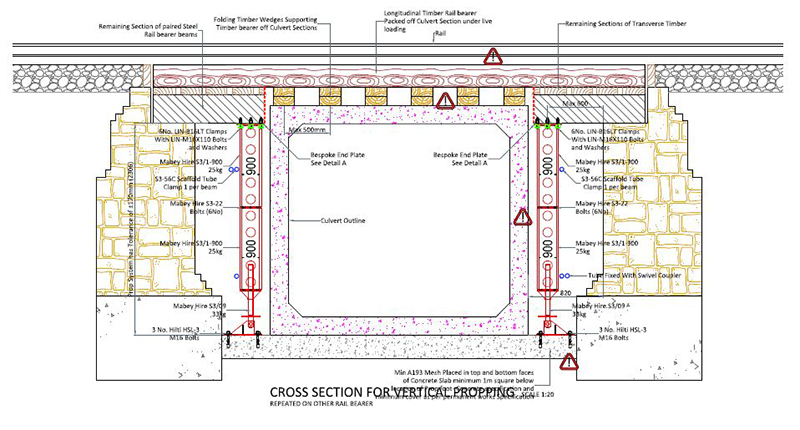 In order to achieve the RA rating for the Greenhouse Underbridge it was agreed that the superstructure to the bridge would be replaced using precast culvert units. 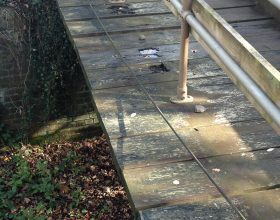 The existing bridge superstructure was formed from a pair of longitudinal steel rail bearer beams supporting transverse timbers forming the deck. 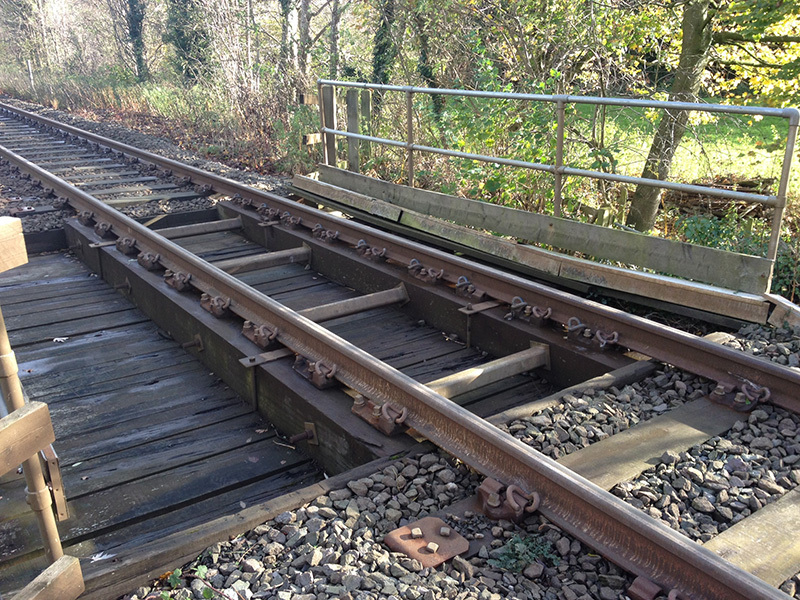 The timber deck in turn supported longitudinal timber rail bearers. 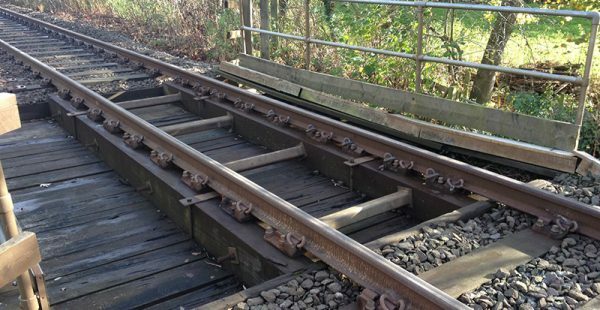 To allow the PCC units to be slid into place under possession the existing paired longitudinal steel rail bearers needed to be cut and the ends supported. 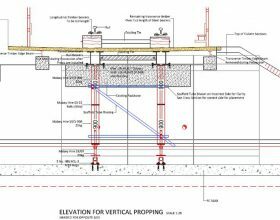 The propping system had to be designed to accommodate rail loadings as the replacement works were undertaken over a number of possessions. 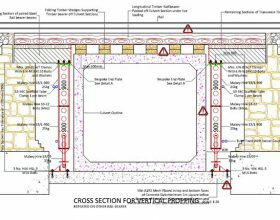 The contractor, Alun Griffith (Contractors) Ltd appointed PaSCoE to undertake the detailed design and approvals for the temporary propping system. 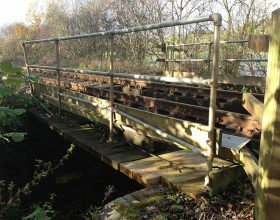 The final connection to the underside of the rail bearer beams required a bespoke fixing plate to be designed and fixed into position using Lindapters. 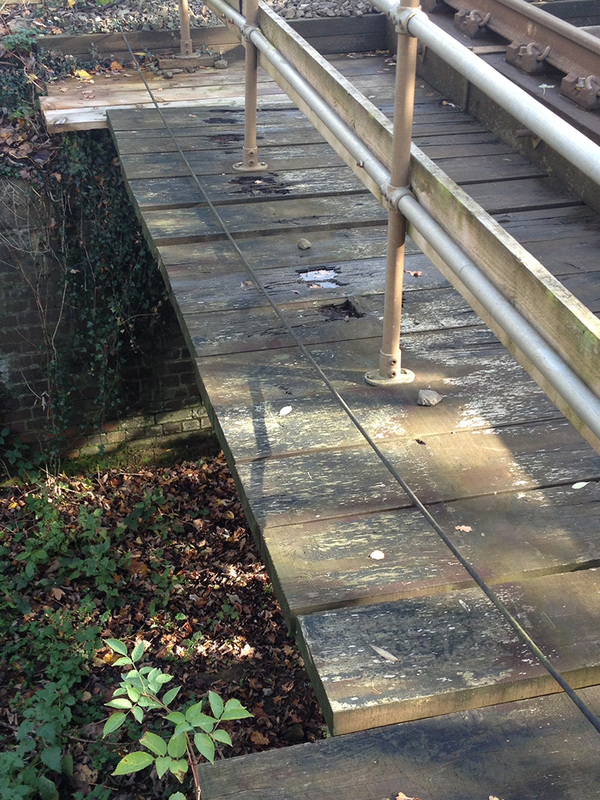 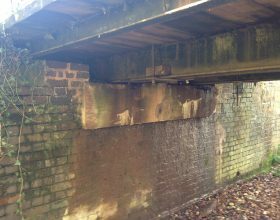 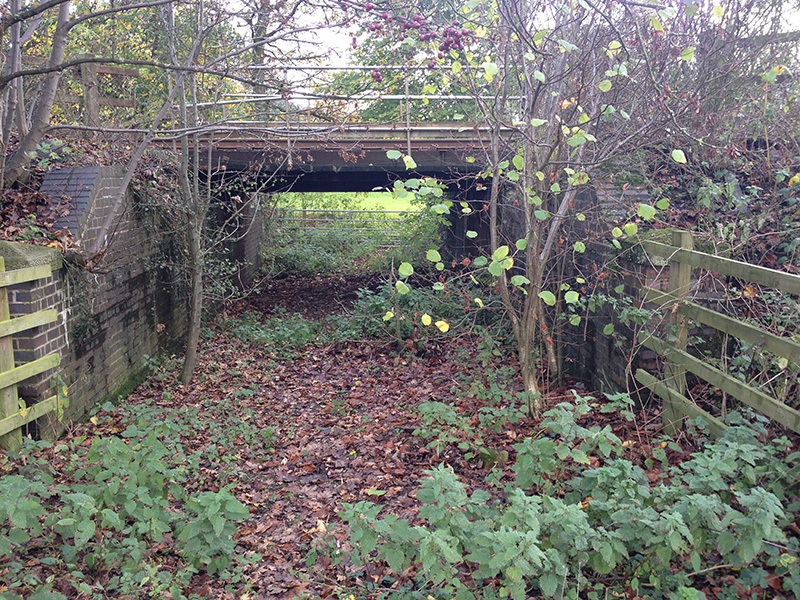 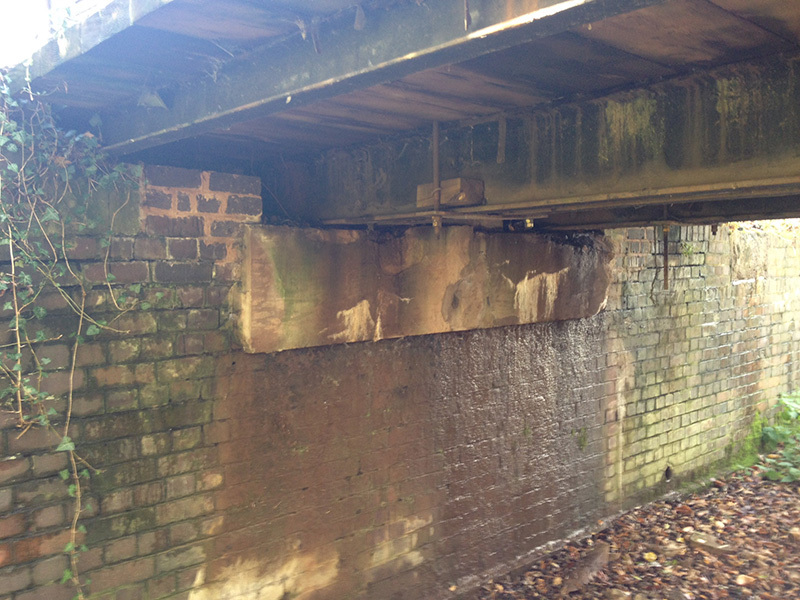 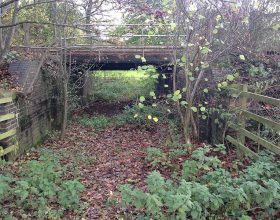 As part of the design assessment process, PaSCoE found that the removal of the Rail Bearer Steels destabilised the existing abutments under the rail loading. 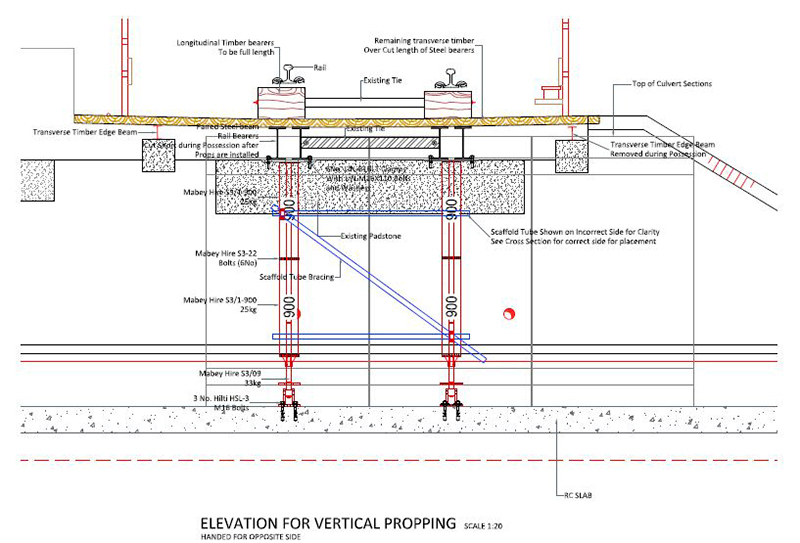 To counteract this instability, PaSCoE designed and specified an abutment propping system to be used under live train loading until the culvert sections were in place. 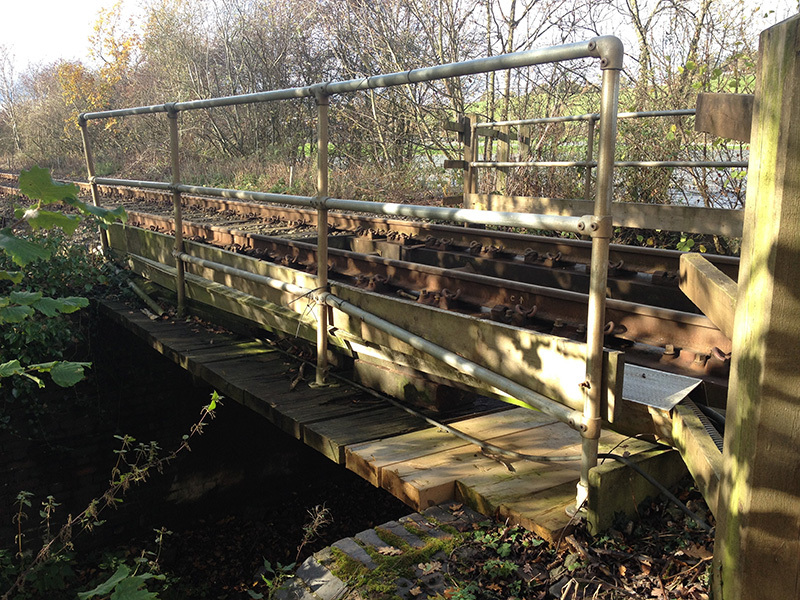 The works took place in late autumn 2015 and the speed restrictions for the bridge have now been removed.